Today, when you order "Magic Encarta Presents The Artifice V2 by Vivek Singhi", you'll instantly be emailed a Penguin Magic gift certificate. You can spend it on anything you like at Penguin, just like cash. Just complete your order as normal, and within seconds you'll get an email with your gift certificate. 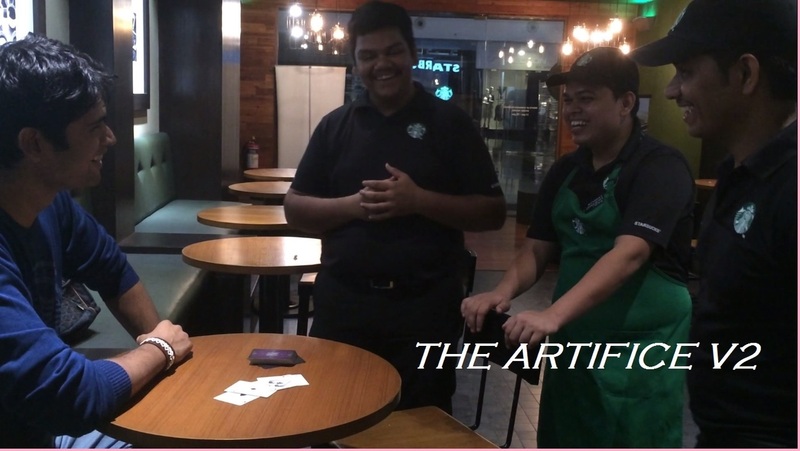 I created "The Artifice" around 4 years back and released it last year where the cards are shuffled by the spectators as much as they want and then you start dealing the cards one by one face down on the table and are able to locate the 4 aces without any visible sleight of hand. The Artifice now has an upgarde - "The Artifice V2" where you can locate any 4 of a kind, infact you can find any number of cards from even a borrowed and shuffled pack of cards. The Artifice V2 is one of the most amazing and cleanest gambling demonstration that you will ever see and now you can learn it too. In this 22 minute download, i take you step-by-step to learn all of the details of this amazing effect iIncluding the original Artifice effect as well. There are 3 versions for varying levels of difficulty including the one where you can find any no. of cards, even from a borrowed and shuffled deck.